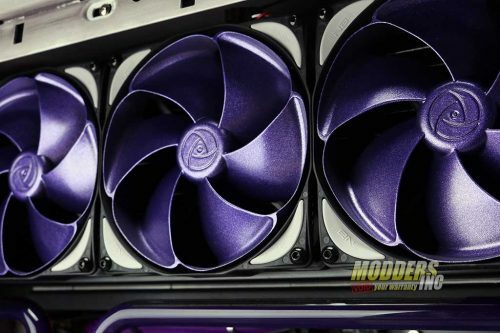 At CES 2019 we went to visit the Alphacool suite and there we saw a pretty sweet looking system that displays a whole bunch of Alphacool’s products. 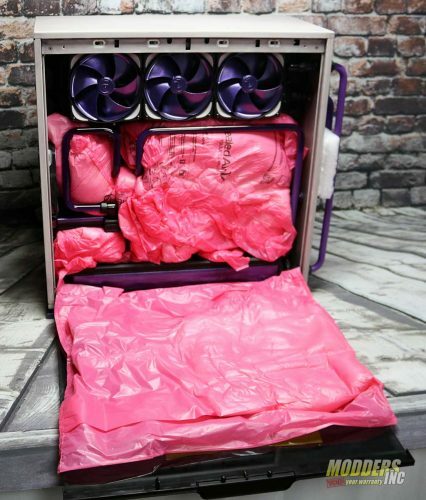 This is not uncommon as you want people to see what the products will look like inside of a PC in use. 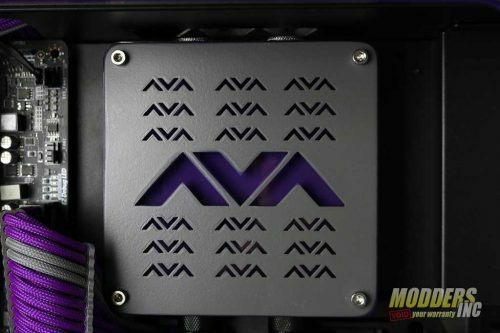 Little did we know that this particular PC would be at our studio for a review, but that this custom PC was created by AVADirect and that it was actually a production item. That is right, the PC you see (as is) is for sale starting now! 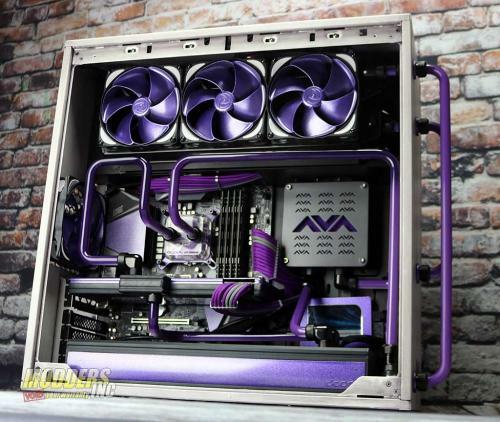 Use this link https://bit.ly/2K11VVu to check out more about the AVADirect Section 9 Custom PC. 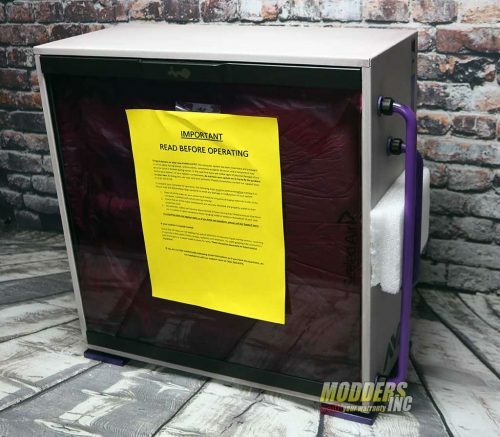 While you are there, run through the configurator and purchase this modded system. 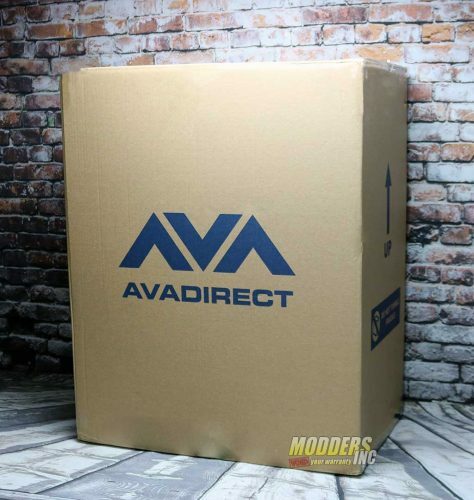 Your New Custom PC gets shipped in a heavy duty box that is well protected with packaging materials. As you know the shipping guys can be a little rough. 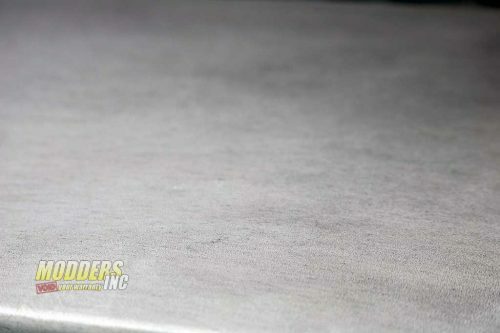 When our sample arrived it was loose in the back of his truck and apparently, there was no need for a two-wheeled dolly as he just flung it up onto his shoulder. The Section 9 came to use ready to use and was full of liquid. All I had to do was remove the foam bags, check of any possible leaks, and power on the AVADirect Section 9. 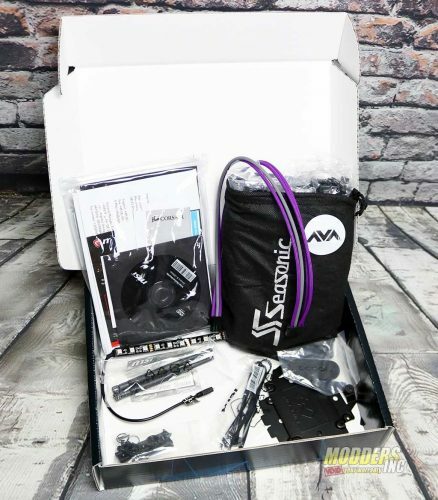 Included are all the manuals and extra hardware that you would normally get if you have purchased the items on your own. The Section 9 PC powered on with the Corsair NODE Pro and iCUE controlling the lighting. 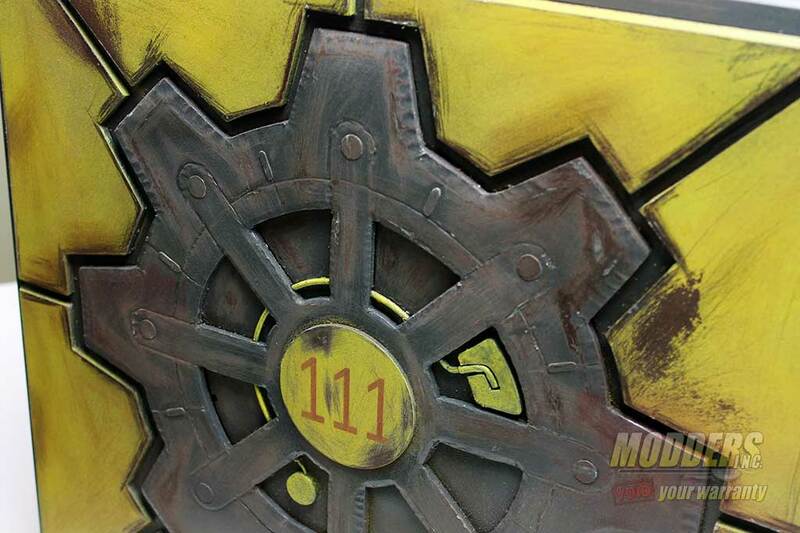 The case has been painted, with a style I call Dry-Brushed or washed. What is nice about this is that you could use this technique a hundred times and get a different result each time. What this means to you is that the one you purchase will not be like any other one made. 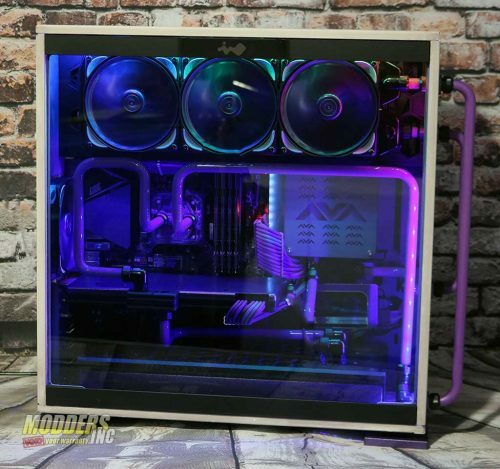 The first thing you really do notice is the, well some of the water cooling hard line is on the outside of the case. 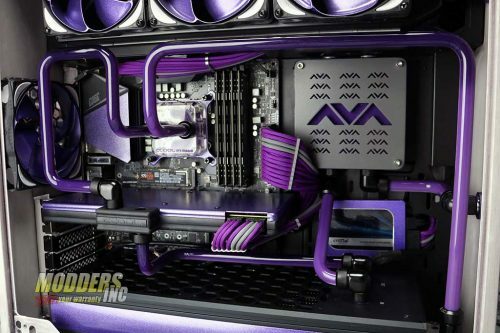 This truly adds a whole new dimension to the appearance of the AVADirect Section 9 PC. You can also see the painting effect that has been applied to the buttons and ports on the In Win 303 case. The color theme chosen is grey, black, and purple and has been used just right as to not overpower the eyes with too many colors. 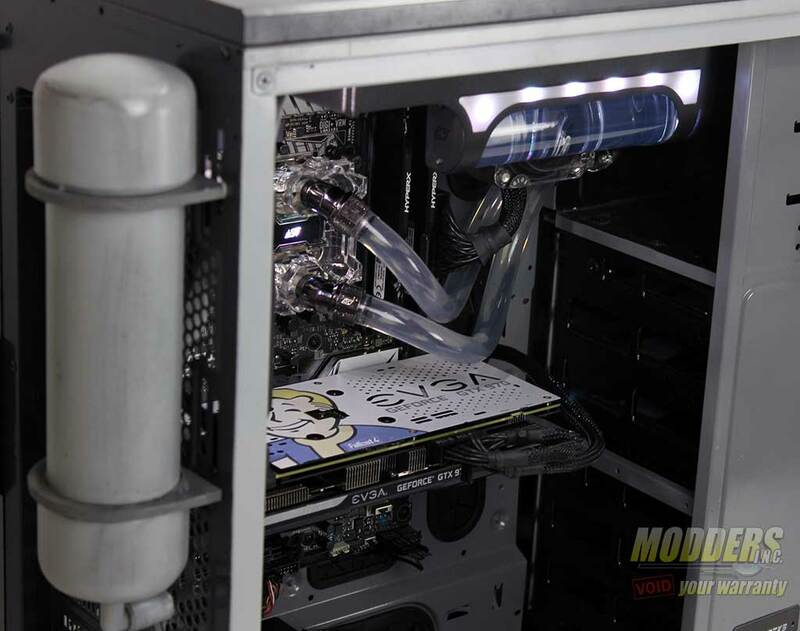 The reservoir used in the water cooling loop is by Clockwerk Industries. 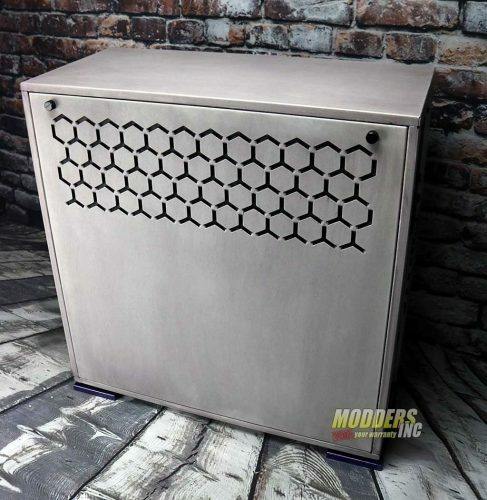 The inside of the Section 9 PC is kept nice and clean and only uses the bare minimum of the wires need to make the system run. 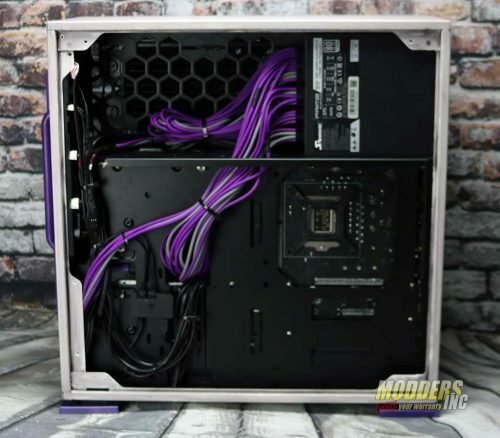 The sleeved cabling is done by MAINFrame Customs. 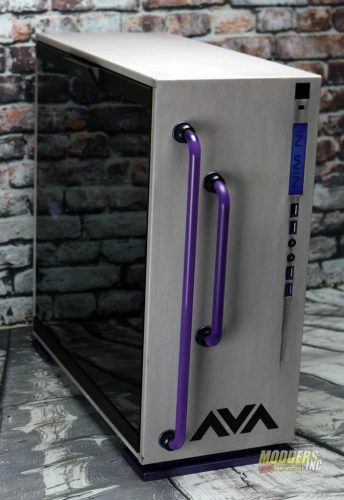 Use this link https://bit.ly/2K11VVu to check out more about the AVADirect Section 9 Custom PC. 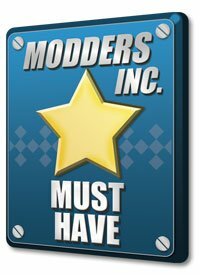 While you are there, run through the configuration process and purchase this modded system.